In last week’s blog, we touched on setting up your parent account. Today, it’s card activation time! We’re sure as soon as your child receives their nimbl card, they will be excited to give it a test drive…. and who can blame them! 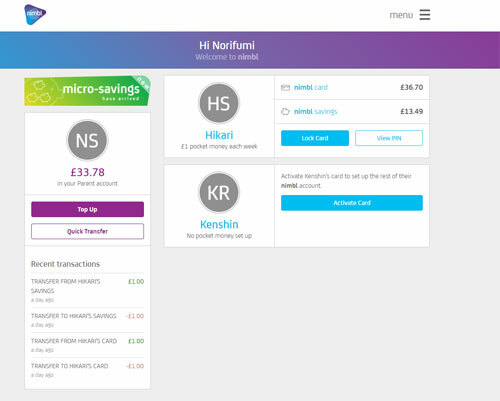 As a parent, you can log into nimbl and activate your child’s card, ready for it to be used. During activation, you have the option of setting up spending controls and pocket money for your children. Last but certainly not least is where you will set up the login details for your child. This will require an email address and password! After clicking on the ‘activate’ button this will reveal the PIN number for your child’s nimbl card. Get ready to remember the 4 digit number.